So what do I know? As I look back I realize the answer to that is “not much.” I know that I have neuroendocrine tumors (NETs) of an undiagnosed origin, but it is believed that I have a rare form of the rare cancer called pancreatic neuroendocrine tumors (PNETs). That makes me special and also means that there is no standard course of treatment as there is for more prevalent cancers like prostate cancer or breast cancer. Every case of NETs is unique. Leave it to me to be special. I know that while the disease is treatable and, apart from divine intervention, incurable. It is a terminal condition, which means that I will probably die from it or from a complication it causes. My disease is considered rare, and it usually goes undiagnosed for years. If you are a guy who has hot flashes, where you flush, turn red when under stress, mention it to your doctor. It is sometimes misdiagnosed as IBS or a host of other diseases, which is why zebras are the mascot for NETs. 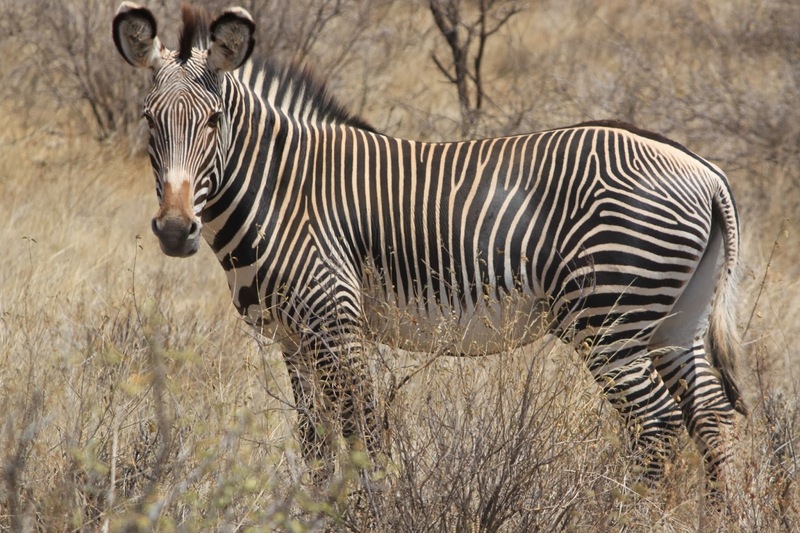 In med school doctors are told if “you hear hoof beats look for a horse, not a zebra.” However, with NETs, sometimes they need to look for the zebra too. 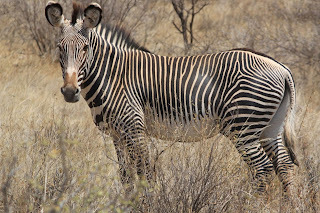 Also, zebras do a great job at blending into the background, this disease hides extremely well and is hard to detect. Look up the symptoms on www.caringforcarcinoid.org to learn more. I also know that about 80% of the people who are diagnosed with my disease that have the level of liver metastasizes that I have die within that initial five-year window. 80%, 8:10 is a tough mortality figure to face. Five years from my diagnosis date will be July 10, 2018, in case you are wondering, or about 242 weeks from now. This leads me to something else I know, I know that I will be eating a lot more cheeseburgers in the next couple of years, and Dairy Queen Blizzards, and everything else I want. Oh, I will keep exercising, walking daily, and striving to stay healthy, but I have to be careful and not overdo it because overtaxing my system, along with a host of other things, can set off an attack. I know that I will have to manage my life more intentionally than ever. I have limited reservoirs of energy and I have to make sure I do what is most important each day. There are some days when I have to take time just to recover. I also know that I will be taking my vacations. For years I considered myself so indispensible to the job that I had that I didn’t take my allotted vacation time. As you can see from the back of your bulletin the list of other things I’m learning, I realize that I am replaceable so that means I can take my vacations. I will be looking for chances to go places on my “bucket list.” I am going to Disney, and England, and maybe next fall on a cruise. I now realize, at a whole different level, how important time off and time away is. All of this has made me crazy thankful for the life I have and the life I have left. There are also three very important lessons that have become themes when I look back over the last four months. There are three central ideas that I am going to allow to drive my life and decisions from now on that I want to share with you. I am going to choose to love deeply, live passionately, and listen to God intentionally. I think I’ve spent my life thus far trying to do these things, sometimes better than others, but now that the clock is ticking even louder I want to make sure I give them even greater attention. We don’t preach about ourselves. Instead, we preach about Jesus Christ as Lord, and we describe ourselves as your slaves for Jesus’ sake.God said that light should shine out of the darkness. He is the same one who shone in our hearts to give us the light of the knowledge of God’s glory in the face of Jesus Christ. But we have this treasure in clay pots so that the awesome power belongs to God and doesn’t come from us. We are experiencing all kinds of trouble, but we aren’t crushed. We are confused, but we aren’t depressed. We are harassed, but we aren’t abandoned. We are knocked down, but we aren’t knocked out. We always carry Jesus’ death around in our bodies so that Jesus’ life can also be seen in our bodies. We who are alive are always being handed over to death for Jesus’ sake so that Jesus’ life can also be seen in our bodies that are dying. So death is at work in us, but life is at work in you. We have the same faithful spirit as what is written in scripture: I had faith, and so I spoke. We also have faith, and so we also speak. We do this because we know that the one who raised the Lord Jesus will also raise us with Jesus, and he will bring us into his presence along with you. All these things are for your benefit. As grace increases to benefit more and more people, it will cause gratitude to increase, which results in God’s glory. So we aren’t depressed. But even if our bodies are breaking down on the outside, the person that we are on the inside is being renewed every day. Our temporary minor problems are producing an eternal stockpile of glory for us that is beyond all comparison. We don’t focus on the things that can be seen but on the things that can’t be seen. The things that can be seen don’t last, but the things that can’t be seen are eternal. Love Deeply—focus on relationships, not on being right. “He is the same one who shone in our hearts to give us the light of the knowledge of God’s glory in the face of Jesus Christ.” Is the love of Christ shining in your life? When you realize that you are deeply loved by God, it allows you to be able to love deeply. Loving deeply is the opposite of loving cheaply. We don’t really love deeply; we love cheaply. In our social media saturated world where with one click you can be deleted, unfriended, and remove social contact with another faster than you can get served at most drive-thru, fast food places, we have lost the importance of real intimacy because real intimacy is hard work. Loving deeply is a decision, and it is tough. Loving deeply means you make the decision to love unconditionally, express it wantonly, and nurture it deliberately. I can hear you now, “Are you kidding me? That is impossible. Have you met my mother-in-law?” Or your co-worker, or that guy at church (yes, people at church are sometimes the hardest to love), or whoever else God places in your path that is difficult to love. Here is one of those hard truths that I have realized as I look squarely at the end of my life. There is no body that Christ did not die for, whether I like them (or love them) or not. From my bishop (who is preaching at 1st UMC today btw) to the guy at the end of the exit ramp with a cardboard sign, Jesus paid it all for all of them, too. Not just for me; not just for you. Not to mention if you live life in that 1 Corinthians 13 way you are going to get hurt. There are people you can love that will never love you back. So what? Love them anyway. There are people that will use your vulnerability against you. So what? Love them anyway. There are people who will unfriend you over a simple misunderstanding, delete you when you don’t affirm their political view, despise you when you are trying to do your best. So what? Love them anyway. Here is a clue, your clock is ticking just like mine. Do you really have time NOT to love deeply? You don’t really have time to waste on grudges, petty differences, or even big offenses? The other thing I am certain of is that unforgiveness mostly hurts the unforgiver. When I choose, or you choose, to nurture lingering disdain rather than deeply loving we are really hurting our own heart. Most of the time those who we have unfriended don’t know and/or don’t care. Love “keeps no record of wrongs.” Wow, that stings huh? I mean how many times have you been in an argument and brought up all the stuff from the past as extra ammunition? That means it is not love, its back to that mutual benefit contract relationship. Love is unconditional or it isn’t love at all. Paul tells us in 2 Cor. 4 that “the same one who shone in our hearts to give us the light...” What light are you shining? Are you reflecting the unconditional love that God gives you in Christ? Are you showing it? I believe to love deeply not only is it unconditional; it has to be expressed wantonly (I love that word, it means excessive and unrestrained). It means living with an open heart and open hands. Like loving without condition, expressing it wantonly means letting others know they are loved with your words and your deeds. Do you tell the people in your life that you love them? All of the guys are now rolling their eyes, thinking, “Seriously dude?” Seriously. I have sat beside literally dozens of people as they were dying during my twenty plus years serving local churches. I can’t tell you how many times people have said, “I wish I had told my son (or daughter, or friend, or wife) how much I loved them.” We presume too much, we affirm too little. A moment of awkward discomfort can heal a decade of pain. Yes, I know it is awkward sometimes, but this is what I’ve discovered in the last four months, the more you say it, the less awkward it becomes. The more you show it, the easier it is to live it. Like everything else, the more you practice the easier it gets. Don’t just say it, show it. Expressing love wantonly is more about life service than lip service. Words can quickly become cheap if they aren’t backed up with action. Your mama was right when she said that people judge what you do far more than what you say. So love is unconditional, it should be expressed wantonly, but it also must be nurtured deliberately. Love is not accidental. It is a decision, it is a daily decision, it is a risky decision. We get confused thinking love is an emotion when, in actuality, loves is an act of the will and if it is left unattended can quickly turn into resentment. Love, over time, creates intimacy and vulnerability. You live lives that are more open, more real. People tell you stuff when they find out your are dying. Stuff they would probably never tell you before. We have been overwhelmed by blessings and I couldn’t figure out why. My friend explained to me it is because Danelle and I have always tried to love first. You have to go first. Live Passionately—focus on significance not success. Living passionately is the opposite of living passively. When I was in high school two things that happened almost simultaneously changed the way I looked at my future: I read Stephen Covey’s Seven Habits of Highly Effective People and I took a Dale Carnegie Leadership course through Junior Achievement. Both of these experience hammered into my head he importance of resilience. Of getting up when you get knocked down, of not quitting. There were three lessons that stuck out to me then and that I have re-visited in the past four months that help me focus upon living passionately and keeping my focus on what is significant, and not what culture defines as success: be proactive; begin with the end in mind; and expect the best but accept the worst. Living passionately means we must be proactive, not reactive. We let life come at us rather than being proactive. Every time in my life when I have lived as a reaction to my circumstances I regretted it. There are times when life stinks. Bad things happen to good people. I don’t have time to go into a diatribe about my theology of sin; I just know that there are times when life is hard. Long before Vince Lombardi said, “It’s not how many times you get knocked down, it’s how many times you get back up,” Paul wrote, “We are harassed, but we aren’t abandoned. We are knocked down, but we aren’t knocked out.” So get up. Make a plan and get moving. When you get the news my family received on July 10, 2013 you have two choices, “get busy living or get busy dying” (great quote from Shawshank Redemption clip here). That is why we are going to Disney in two weeks, because I refuse to die before I’m dead. Thanks, btw. Living passionately also means beginning with the end in mind. I have often made the joke that I wanted a thousand people at my funeral, wow that’s egotistical. What I meant is that I wanted to look back at my life and know that I had help people get connected to God, to others, and to their divine calling. I have always had “an end in mind” but now it is even more pressing. Now I have limited energy, I have to begin every day thinking “what is the most important thing I can do for the kingdom of God today.” The amazing thing is that if you are busy loving deeply and you have a picture of what you want your end to look like, priorities are easier. That doesn’t mean I don’t make mistakes, that I don’t waste some of those precious 1,440 minutes I’m given every day, but it does mean that I am making an intentional decisions to focus on a life of significance. For me this means I disciple a few people more deeply rather than a leading a lot of people to make a surface decision. It means I write more and try to worry less because the words on the page will out live the words in the pulpit. In the past four months I’ve written about 100,000 words. I have written more than 40,000 words about my initial month or so having a terminal illness, 30,000 in the daily devotions “Welcome to a Life that Matters,” thousands of words for sermons and blogs. I write because it forces me to be vulnerable, it makes me deal with the process of living while dying. It would be really easy to live my life with a sense of doom, but that would be ungrateful to God for the time I have left. Some of what I write is poorly written and badly punctuated, just ask my chief proofreader. My manuscript has more red ink on it than any paper I’ve ever written thanks to a ruthless editor, but writing has always been my passion. Since I was twelve years old I’ve wanted to be a writer, but I kept putting it off, there would always be time for that. Now, there isn’t time. What is it you are putting off because you think you will have time for it later? Does this mean that I don’t worry about success? That I don’t do my best? No, not at all. Paul also reminds us “whatever we do, we do for God.” So whatever I do, I do it to the best of my ability. I’m sure there are a lot of people who can do what I do better than I can, but I won’t be measured by who they are, I will be judged by who I am. Living passionately means I begin with wanting to be more who God created me to be every day, to begin with the end in mind. Living passionately means I accept the worst and work for the best. Death is inevitable. I have an 8:10 chance of dying in the next five years but you know what, 80%. Here is something to think about, if you are over 40 you have a 2:10 chance of dying in the next five years as well, that's 20% chance you will beat me to eternity; oh, and that chance increases by 20% ever decade after that. Nobody gets out of this life alive until Jesus comes. What are you putting off? I have accepted the worst, but I'm working for the best. After we get back from vacation Danelle and I are flying to Vanderbilt to get a second opinion on my treatment. I am taking care of myself, resting when I need to, and fighting to beat the odds. I love deeply and living passionately, and I am trying to do everything I can to leverage the situation I am in for the cause of Christ. What are you putting off? Where are you being reactive? Listen to God Intentionally—focus on where God is leading, not what others are saying. Our world is loud and God usually whispers. Culture defines success by what you gather, significance is defined by what you give. I’ve been reading Daring Greatly by Brene’ Brown this week (actually listening to it). One thing she said really stuck with me, it was that most of define our lives what we lack. Our self-definition revolves around the statement, “I’m not ___________ enough.” I’m not smart enough, rich enough, pretty enough, small enough, big enough, fast enough. I grew up never thinking I was enough. My father abandoned me; I wasn’t a good enough son. I was cut from the team, I wasn’t a good enough athlete. I didn’t get to go to our honors class trip to Washington because we didn’t have the money, I wasn’t wealthy enough. I was never the best at anything; I was never enough because in my mind if you weren’t the best, you weren’t enough. Every time I have had any set back, it reinforced my not being enough. I have spent my whole life trying to prove myself. In the past four months I have come to realize that I’m enough because Jesus says so. We have a focus on scarcity when we serve a God of abundance. God made you. Jesus redeemed you. The Spirit inspires you because you are worth it. You are enough. You are the YOU God created you to be. The key is to quit giving credence to the voices of culture that tell you what you aren’t and listen to God who reveals to you who you are. Listen for God to whisper to you when you study the scripture; when you worship; and spend time loving deeply and living passionately. God will not make you listen, God invites you to listen. The question is are you listening?